Have you ever been in a nursing home or assisted living and overheard residents complaining and thought to yourself, “Something should be done. I wish I could help.” Maybe you or someone you know has a loved one and for one reason or another, needs to have long-term care. You try to find the best place possible by doing your homework; investigating, interviewing and finally you choose a facility. The loved one moves in and everything is going fine. Then comes that proverbial bump-in-the-road. Now what do you do? The answer is to call the Ombudsman. If you haven’t heard, an Ombudsman is someone who advocates for residents living in long term care facilities. An Ombudsman visits with residents to find out their perspective on the care they receive. Ombudsmen try to empower residents or advocates for the residents to resolve that proverbial bump-in-the-road, no matter how big or small that “bump” may be. According to the Nursing Home Reform Law, there are two key provisions that establish the foundation of care that older Oklahoman are entitled to have: Quality of Care and Quality of Life. This is the main focus of an Ombudsman volunteer. Ombudsmen ensure residents are receiving what they are entitled too, as well as, being that friendly face residents can count on. If you are interested in being that friendly face, it only takes a desire to be the difference in someone’s life. Potential volunteers have to complete a two day training class, become certified, attend a once a month training meeting, and commit to a minimum of only 2 hours per week visiting with residents. Sound simple? It is! Such a small sacrifice to make a huge impact in the lives of so many. Our aging community deserves a happy life. Will you help deliver some happiness? The next training will be April 27-28, 2016 at Areawide Aging Agency located at 4101 Perimeter Center Drive, Suite 310, Oklahoma City, Oklahoma. Each day classes begin at 9:30am and adjourn at 3:30p.m. This 2-day training is absolutly FREE. If you are interested in becoming a volunteer or just want to learn more about the Ombudsman program, please RSVP by April 25, 2016 or contact Debra Burris or Eric Locke at (405)942-8500. Hurry!! There’s limited seating and you must register to attend. 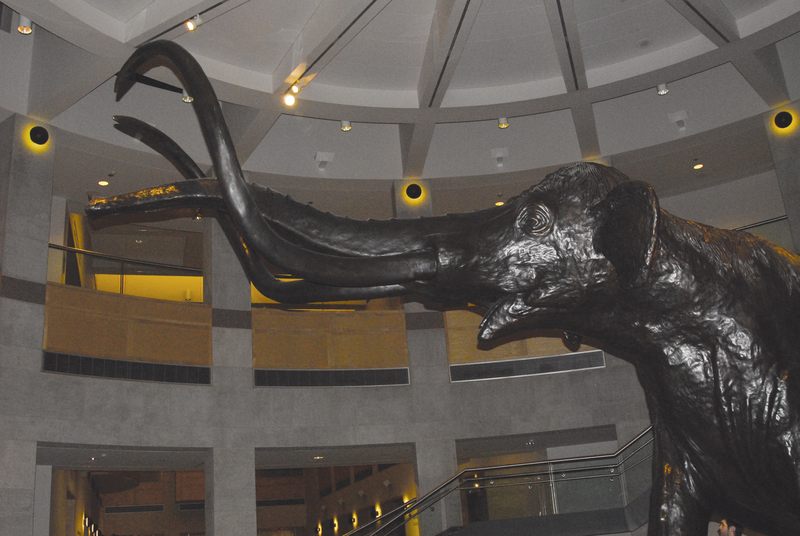 An undiscovered intellectual and hands on treat is the Sam Nobel Museum of Natural History in Norman, Oklahoma. 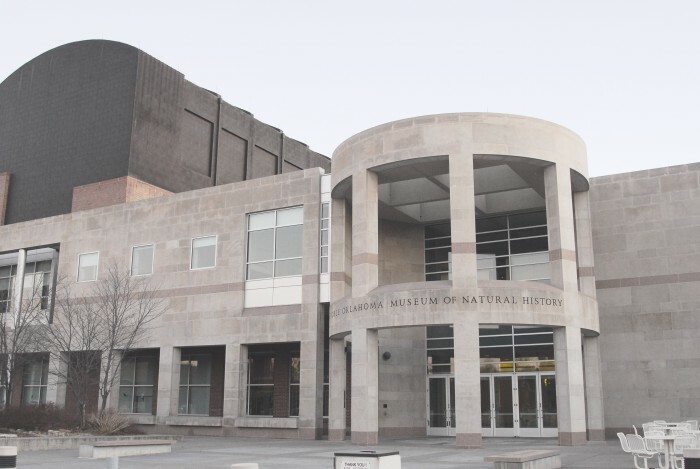 Recently it was recognized for excellence by receiving the 2014 National Medal by the Institute of Museum and Library Services, the nation’s highest honor conferred on museums and libraries for services to their community. This honor was only awarded to five museums out of 17.500, and five libraries nationwide. As an example of the museums outreach is the ExplorOlogy program which involves promising students from schools across Oklahoma to get a hands on experience with experts in different scientific disciplines. One ExplorOlogy program took place in the high planes of Oklahoma in the Black Mesa area located in the states panhandle. More information on the museum and their educational programs can be found at www.SamNobleMuseum.org. For your visit to the museum you may take in the “Be the Dinosaur!” exhibit running through June 12th, 2016. The exhibit is based on the fossils found in the Hell Creek Formations of Montana, North Dakota, South Dakota and Wyoming. You can guide a Tyrannosaurus Rex in a search for food or learn the behaviors of the Triceratops as it ambles through the Late Cretaceous from a video console. The highlight of a visit might be the video simulated pods which allow visitors to become dinosaurs. Another attraction is the “Through the Eyes of the Lynx: Galileo and the Microscope” through August 31st. On March 10 at 7 pm, is the free “Galileo’s World Lecture Series and Sky Watch” hosted by the O.U. Observatory. The museum is available for catered events and banquets. Located at 2401 Chautauqua Avenue, the Sam Noble Museum is easily accessible near the O.U. Campus, and provides an educational and entertaining experience for all ages. StoneCreek Real Estate Partners, LLC began construction on a new Assisted Living and Memory Care Community in Edmond, Oklahoma. Construction began in December on StoneCreek Assisted Living & Memory Care in the Oklahoma City suburb of Edmond, OK. with an anticipated construction completion during the first quarter of 2017. The building will be located at NW 178th Street and Western Ave. The Edmond project will be the second newly built assisted living community of this design for StoneCreek Real Estate Partners. The 74,000-square-foot building is modeled after The Oaks Assisted Living community in the Dallas, TX suburb of Flower Mound. The Oaks at Flower Mound opened in November 2015 and received a Silver Design Award in the 2016 NAHB Best of 55+ Housing category. “I love Oklahoma and all that it has to offer. My daughter is graduating from the OU this spring and one of my sons will be attending OSU this fall,” said Joe Geer, StoneCreek managing member. “We’re excited to build on the success of The Oaks at Flower Mound and carry our passion for working with seniors to the Oklahoma City area,” he added. The $17 million Edmond project will include 58 assisted living apartments for active seniors and an additional 32 memory care suites dedicated to individuals living with Alzheimer’s and dementia. StoneCreek residents will enjoy access to spacious patios, a Bistro Cafe, a Skype lounge, physical therapy room and full-service salon in addition to other amenities and services. The general contractor is Resource Commercial, Inc. of Dallas. The architect is Arrive Architecture Group, of Bedford Texas. Oxford Senior Living of Wichita, Kan. has been selected as the managing operator. An Oklahoma City man is facing felony charges for scamming a Moore couple out of $3,577.53. The money was part of the insurance settlement the couple received after their home was damaged in the March 25, 2015 tornado. An investigation by the Oklahoma Insurance Department’s (OID) Anti-Fraud Unit found that Antario Brown, 36, led the victims to believe he was a public adjuster and that his services were required to process their insurance claim. Not only is a public adjuster not required to process a claim, but Brown has never been a licensed public adjuster. The victims, both 78 at the time, signed a contract with Brown allowing him to negotiate with the insurance company on their behalf in exchange for 7 percent of the final insurance settlement. Brown then contacted a licensed public adjuster to perform the service. The legitimate adjuster charged the client an additional 10 percent fee. She later contacted OID after learning the victims also paid Brown. When OID investigators spoke to Brown he claimed he was paid as a consultant. The Oklahoma Attorney General’s Office charged Brown with one count of obtaining by false pretense. “I know Attorney General Scott Pruitt takes these crimes as seriously as I do and I appreciate his hard work on this case,” said Doak. If convicted, Brown faces up to 10 years in prison. 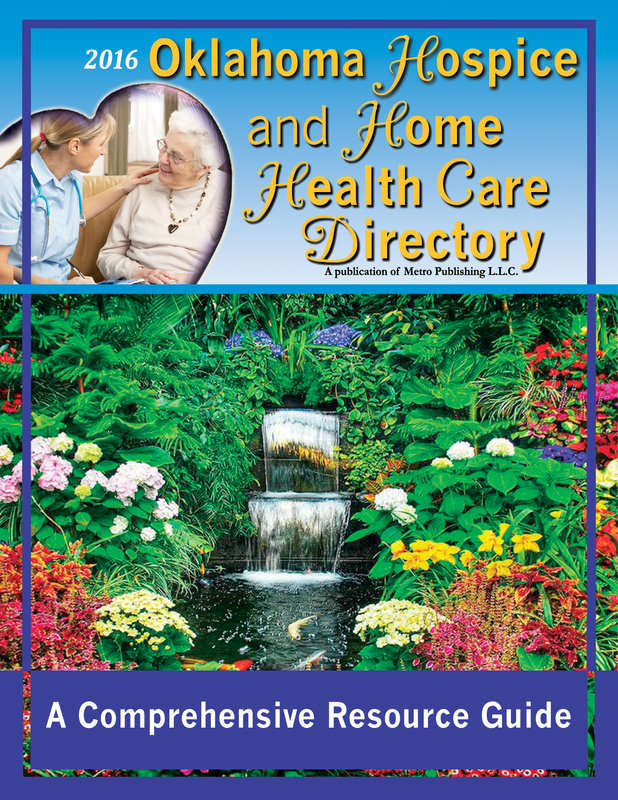 2016 Hospice and Home Health Care Directory available Now! Click here to download your Digital copy! Download your copy here! Just click the page above. Rodney Bivens, 70, has built the Regional Food Bank of Oklahoma into a source of help and hope for hundreds of thousands of Oklahomans. In the beginning, it was just Rodney Bivens and a half-ton pickup driving around to local safeway stores picking up canned goods. Thirty-six years later, the Oklahoma Food Bank has grown into a world class organization meeting the needs of hundreds of thousands of people needing help putting food on the table. “I always felt if it was right, you believed in something and put the time and resources into it … people would respond to it,” Bivens said. Bivens, 70, is the founder and executive director of the Regional Food Bank of Oklahoma. But he’ll pass the torch soon, leaving a legacy that has touched so many Oklahomans. His work with other nonprofit agencies led him to witness what hunger can do to individuals and families. Out of his personal conviction that no one should have to face hunger in a nation blessed with so much abundance, he founded the organization in 1980. Born and raised in Chickasha, Bivens and his three older brothers grew up on a farm just outside of town. After his father was disabled in a car accident, the Bivens’ family came to rely on friends, family and church to help them keep food on their table. The experience left Bivens with a unique perspective on the impact of hunger on children and families in Oklahoma. Under his leadership, the Regional Food Bank has grown rapidly to fulfill the need for food in central and western Oklahoma. In its first year of operation, the Regional Food Bank distributed 280,000 pounds of food. Today, that amount is distributed in about three days. The nonprofit provides enough food to feed more than 110,000 people every week with administrative and fundraising costs less than four percent. Since its inception in 1980, the Regional Food Bank has distributed more than 545 million pounds of food to our hungry Oklahoma neighbors. It’s food that goes out the door, but for Bivens it’s about so much more. Bivens and his team at the Regional Food Bank developed one of the first rural distribution systems in the country, which has become a model for other food banks. The Regional Food Bank currently serves more than 1,200 charitable feeding programs and schools throughout 53 counties in central and western Oklahoma, and distributes nationally donated product to four other food banks in Kansas, Texas and New Mexico, as well. The Regional Food Bank was the first in the nation to implement an online inventory and agency ordering system with new technology for increased efficiency in food distribution. Other efficiency initiatives implemented at the food bank facilitate energy conservation, solid waste reduction, air quality controls and sustainable living techniques for a more efficient operation. Bivens has also shepherded other innovative programs into existence at the Regional Food Bank, including Urban Harvest, an urban sustainable agriculture program that aims to teach individuals and community groups to grow their own food. The Regional Food Bank also implemented the Food for Kids Backpack Program, which provides a backpack full of weekend food to chronically hungry elementary children throughout the school year. The program began in 2003 as a pilot program in five urban elementary schools, and it now serves more than 18,500 children in 501 elementary schools. There are now 124 school pantries in middle and high schools in Oklahoma serving the needs of nearly 5,000 chronically hungry students. 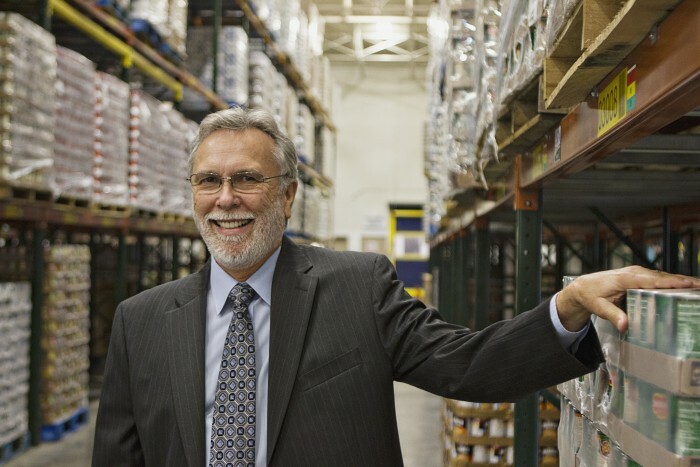 As the founder of the 21st food bank in the U.S., Bivens has more than 35 years of experience fighting domestic hunger and he is seen as a leader in the food banking arena. Bivens served on the board of directors of Feeding America for more than 12 years in various positions. He also helps in national disaster relief efforts, and in 2005, set up an emergency relief warehouse for Hurricane Katrina and Rita storm victims. In less than four weeks, he helped to distribute more than 8 million pounds of relief supplies in the New Orleans area. 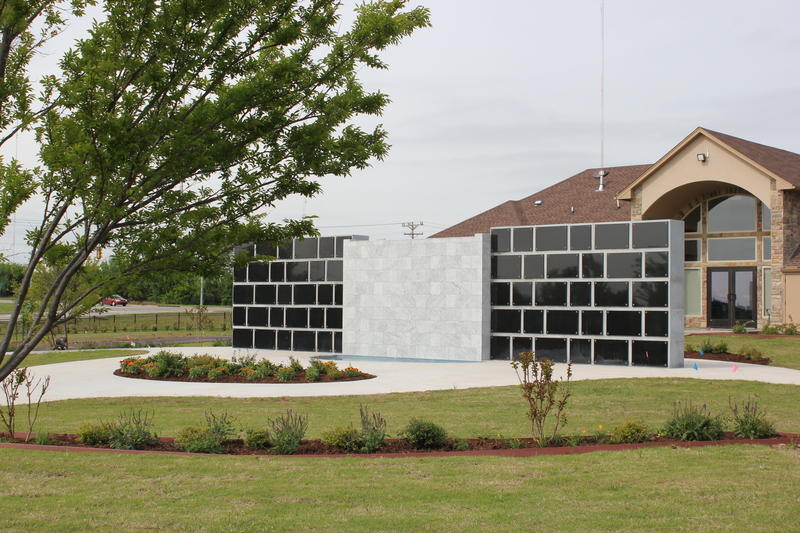 Reflection Pointe provides a peaceful, dignified and affordable solution for Oklahomans laying their loved ones to rest. Brad Whinery’s mother and father were pioneers in the Oklahoma funeral industry. Sixty years later, Brad Whinery is still innovating how Oklahomans lay their loved ones to rest. Whinery firmly believes you should pay your last respects and not your life savings when a loved one passes. He’s helped literally thousands of Oklahomans select a lasting and dignified cremation option that meets family needs and budgets. And now Oklahoma’s first cremation-only garden is providing even more options for those laying their loved ones to rest. Whinery has helped honor and remember loved ones by integrating the beauty of nature with the beauty of the celebration of life at Reflection Pointe. 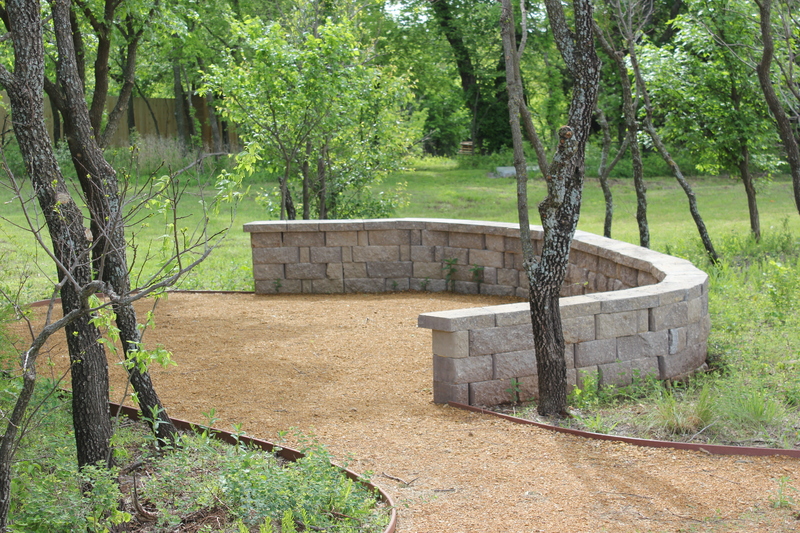 The first thing you’ll notice upon entering the grounds is the peaceful sound of water cascading over a granite wall. A waterfall is a magnificent feature that also serves as a permanent resting place. Your loved one’s ashes can be placed behind a black granite plaque on the backside of the waterfall. The water pools into two reflection ponds surrounded by a garden with bistro-style seating. The waterfall offers several options for memorialization, including black granite plaques with room for an inscription or custom, engraved portrait. It is the only area where a bronze plate can be placed to give a person’s name with their birth and death date. The waterfall and garden area have limited availability. Another area is known as the Ossuary. Oklahoma artist Jay Hylton was commissioned to design the Ossuary at Reflection Pointe Gardens. The bronze and steel sculpture with the rotating ball reflects the perpetual connection to one another. The Ossuary provides an elegant, affordable and permanent memorial option for cremated remains. Families place their loved one’s ashes into the Ossuary through the opening in the bronze ball. A family can add their loved one’s inscription to the surrounding granite cenotaph as a testament to their enduring legacy. The Ossuary and cenotaph also have limited availability. Pet owners recognize they don’t just have an animal they have a family member. Whinery recognizes that dogs and cats are much more than pets. They are important members of our families and deserve to mourned and be memorialized in a dignified way. 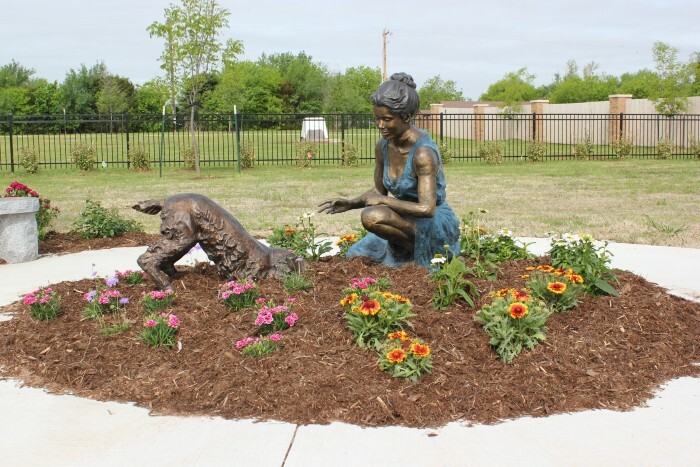 The first of its kind in Oklahoma, Furever Friends is a special space where pets and pet lover’s remains can be buried separately or interred together. This special memorial garden is designed to represent the unique bond between pets and their owners. The entire property is tranquil and uncluttered. Built on an eight-acre wooded area, visitors can stroll through the park, reflect at the waterfall or sit on the grounds without walking around above-ground monuments like traditional cemeteries. As unique as the life you are remembering, Reflection Pointe also offers the options of scattering ashes in the meadow or placing them in the Ossuary or a niche inside the waterfall. Reflection Pointe Gardens uses GPS technology and smart microchips to locate your loved ones’ site and access online memorials. Visitors simply download an app to their personal smartphone, or borrow a tablet from the office to self-navigate the gardens. As you walk through the gardens you can view digital memorials of friends and loved ones that not only give more than important names and dates, but also a keen insight into the unique life presented. Videos and photos bring a person’s memory back to the forefront of visitors. “When someone visits a grave they’re not given a name and a date they’re given a life story,” Whinery said. Last summer, Whinery invested in a 360-degree virtual property photo shoot. So far the feedback has been tremendous. No matter where they live in the world, loved ones are able to virtually visit the final resting place any time they want. And one of the best parts is services at Affordable Cremation and Reflection Pointe are often only a fraction of the cost of just a grave opening in the Oklahoma City metro. That’s not including the traditional funeral-associated costs of buying a monument, a vault – not to mention a lot which easily boosts prices into the thousands of dollars. It’s another milestone in the Whinery family’s commitment to helping loved ones pay their last respects and not their life savings. 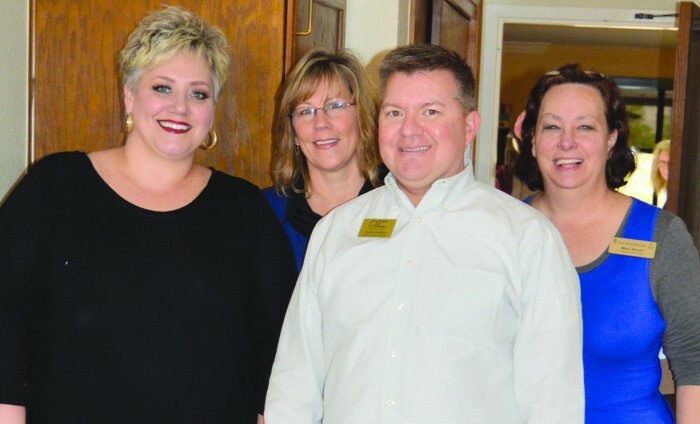 From Left to Right: Jaime Persall, Oklahoma Hospice Care Community Relations Rep., Jennifer Forrester, Oklahoma Hospice Care Community Relations Director, Charlie Redding, Right at Home Director of Business Development, and Mary Shrum, Fountains at Canterbury Program Director. Imagine your life being a puzzle tossed into the air, fragmented into pieces that cannot be joined together again. Every day brings a little death for someone living with Alzheimer’s disease. It can be treated, but for this terminal illness, there is no cure. For the caregiver or anyone who shares experiences with a person living with dementia, there is a program offered called Alzheimer’s Experience which promotes empathy for the loved one by educating people about how Alzheimer’s changes the course of life. Most recently the event was held at the Fountains at Canterbury in Oklahoma City and is offered at other locations, said Charlie Redding, director of business development for Right at Home which offers in home care and assistance, and Jennifer Forrester, community relations director of Oklahoma Hospice Care. They have also partnered with Rivermont in Norman as well as Touchmark in Edmond. Redding has also partnered with fire departments to offer refresher course training. Forrester said the Alzheimer’s Experience is also helpful for senior law attornies or anyone with a vested interest. She is there to score the events, observe the participants in the room and take notes, Forrester said. She watches to see if tasks are being performed in order and sees how they react to noises in their ears. “If you’d like to take a walk in the shoes of someone living with memory loss or Alzheimer’s disease, this is your chance,” Redding said. 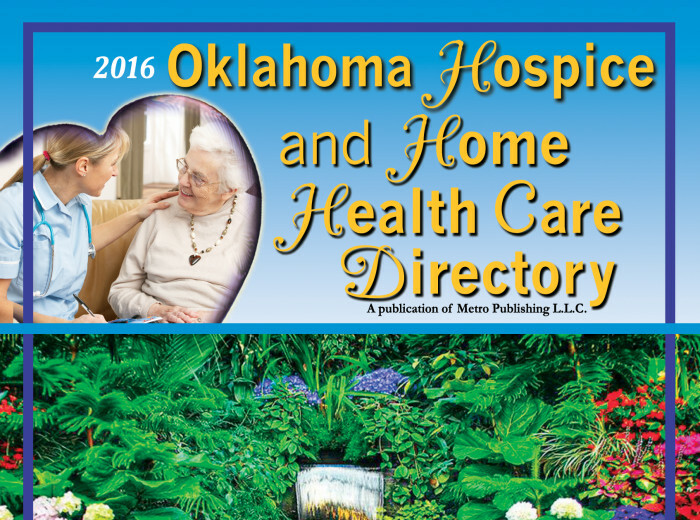 Right at Home is hosting a dementia tour in partnership with Oklahoma Hospice Care, Redding said. “This experience lasts about 20 minutes and we’ll provide delicious snacks for you after the tour,” he added. The Virtual Dementia Tour consists of putting on goggles, gloves, inserts into their shoes and a headphone with a recording. The recording lasts 11 minutes during which time the participant is given five minutes to complete a task. There may be things a person living with dementia may not be able to vocalize such as lower extremity nerve damage or arthritis. Maybe they cannot buckle their belts or see to turn the pages of a book to a certain page. A person with Alzheimer’s could be given a task to put their sweater on. However, they might return with a blanket wrapped around them or remain in the closet or doorstep. “What they heard was ‘Go get that blanket and put it on.’ Or they can’t see a sweater,” he said. There is a debriefing with each participant after the event, Redding said. “We do not want them interacting with the people who have not gone through it because we don’t want them to know what to expect,” he said. Additionally, the debriefings might be done collectively or individually. When he brings the program to Norman Specialty Hospital at 1:30 p.m. on February 4th the direct-care employees will benefit by the impact. 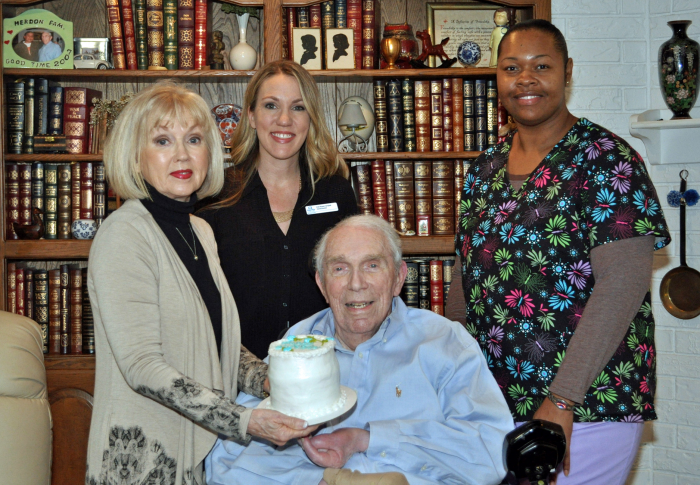 Nancy Brewer, Kristi Brewer-Campbell, Owner and Director of Care Plus Home Care and Vonda Goldsmith, CHHA Caregiver celebrate Mr. Don Herndon’s birthday. Nancy bakes cakes for each one of their clients for their special day. Here, you will find that services are offered 7 days a week up to 24 hours a day. Live-in services are also provided if around-the-clock care is needed. Their caregivers can assist with personal care and hygiene, take care of their medications, prepare meals, clean, do laundry and assist with transportation and errands. Established in 1993, Care Plus Home Care agency provides an alternative for seniors wanting to remain independent and in the comfort of their own home. The mission here is to meet the home care needs of their clients with respect, compensation and services of the highest quality. They will operate in a manner that will appropriately reward their clients and employees alike. Presently, Care Plus Home Care has about 70 clients but the number varies. “All of our clients are treated with respect, and we want to make them feel like the most important person in the world,” Kristi comments. “It was my mom’s idea to bake a cake for each of our clients on their birthdays,” Kristi said. Asking Nancy how she began baking cakes for the clients, she replied, “Of course it takes a little bit for the client to get used to the daily adjustments when they need assistance in their homes. There was a gentleman that was having a hard time with it and it just happened to be his birthday. Kristi and I decided to bake a cake for his birthday. When we delivered it to his home, his whole attitude changed, for the better. It was amazing! After that, I decided that I would bake a cake for all of the clients on their birthday,” she said with a smile. Kristi and Nancy deliver the cakes all over Oklahoma, wherever their clients are and they never miss a birthday. The cakes are usually 2 to 3 layers of luscious flavor upon the client’s request. Decorated with icing and a Happy Birthday on the top, it almost looks too good to eat! Nancy loves to bake and will continue to bake birthday cakes as long as she is able. A big thank you to Don and Joan Herndon for allowing me to come into your home and a thank you to Kristi and Nancy for spending your time and effort to go out of your way to make seniors feel special. Norman Jean Schritter traces her lineage back through the Land Run of 1889. Feisty. Funny. Fortitude. Those are some of the adjectives used to describe Norma Jean Schritter, the granddaughter of 1889 land run homesteader, John Krivanek. She’s lived in Mustang most of her life thanks to her family tracing back to the Land Run of 1889. The family farm, located at S.W. 44th and Sara Road in Canadian County, is state designated as a Centennial Farm. To be a Centennial Farm, the property must be at least 40 acres and operated or owned by family descendants for at least 100 years. James “Bud” Schritter was the love of Norma Jean’s life. They were married 60 years before he passed “to prepare their next home together” as Norma Jean says. They courted three years before tying the knot. Once during a large snow storm, Bud drove his tractor from Wheatland, Oklahoma to see her. He stopped and cut barb wire fences to forge a path to her home and then repaired them on his drive back to Wheatland. It’s no wonder Bud was smitten by Norma Jean. Her radiant smile and smart wit is like a magnet to iron. Norma Jean, age 83, is a fascinating resource of historic Mustang events and families. A grease fire burned down her family home in January 1951 when she was a senior in high school. Neighbors from miles around rushed over and started hauling things out of the house. Two ladies carried out a refrigerator on their backs. Many of those same neighborly friends helped rebuild the house and returned again to plant and harvest the farm when Norma’s father was ill.
“Sharing and helping each other was a normal way of life for neighbors back then,” said Norma Jean. The farm has also survived dust storms and the tornado of 1970, which took the wash house, hay barn, storage barn, machine shed, and several large farm combines. Bud and Norma Jean grew wheat and hay and lived off the products of their land. Norma Jean cultivated a huge garden and became an expert canner. Her favorite items to can include possum grapes, strawberries, sand plums, blackberries, okra, and pretty much any Oklahoma vegetable. She has always been an excellent cook. Her cousin, Louis Krivanek, lives nearby on land that has been in his family since 1917. The Schritters loved the television show Hee Haw and didn’t let the long work days of harvest season stop them from watching it. Long before today’s mobile devices, they found a way to rig a TV to run off the tractor so they could work their crop to the tunes of Buck Owens and Roy Clark. Norma Jean has been a fan of the Days of Our Lives soap opera for 45 years and gladly admits she schedules her day around its viewing time. After that, you may find the petite redhead driving around town in her bright red Chevy pickup. She has been going to the same Mustang beauty operator, Maxine Pierce, for 41 years. Norma Jean and her husband also partnered as “pumpers” for a national oil company. They determined how much oil, natural gas, and salt water was produced daily for each well. They measured and tracked more than 50 well sites for almost 30 years. Norma Jean is an avid collector of sea shells. “Shelling” in the gulf is one of her favorite hobbies. She also plays the accordion and maintains an active social calendar. In her younger years, she was a Beseda dancer for parades, Czech festivals, and the 1957 state 50th year celebration. She still enjoys dancing and says she has always felt she would rather dance than eat. 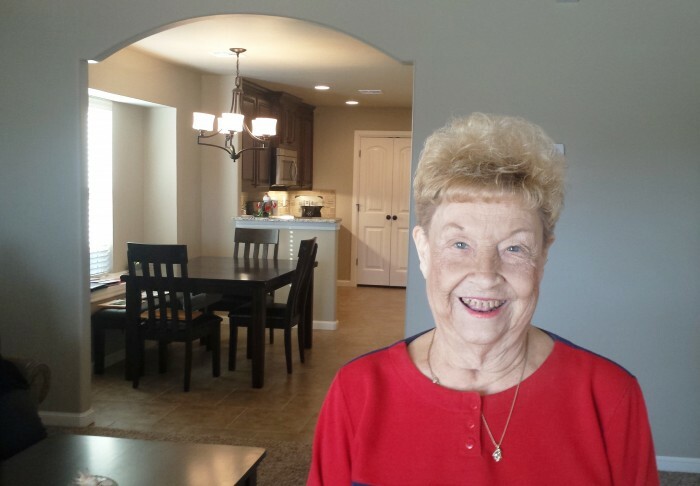 Recently Norma Jean moved to a new house at Whispering Creek Active Adult Retirement Neighborhood in the south Oklahoma City/Mustang area. She loves the country feel of the gated addition for people age 55 and better. She says she is surprised how big the rooms are and that they seemed even larger when she added furniture. “I’m thrilled to find this neighborhood and my only wish is that Bud was here to enjoy it too,” she said.